When the Vet Volunteers find some abandoned ducklings, they know there’s no time to lose. Without a mother, the ducklings must learn to swim on their own. But where did they come from? 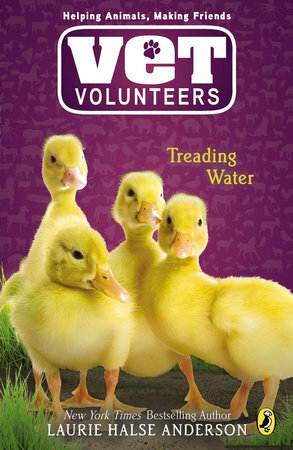 When Brenna and the rest of the Volunteers learn that the ducklings are abandoned Easter pets, they hatch a plan to educate their community about baby animals–but they also must teach the ducklings to swim before it’s too late.